Happy Birthday to the State of Florida! by Mary Cosmo, Esquire.In Florida History. 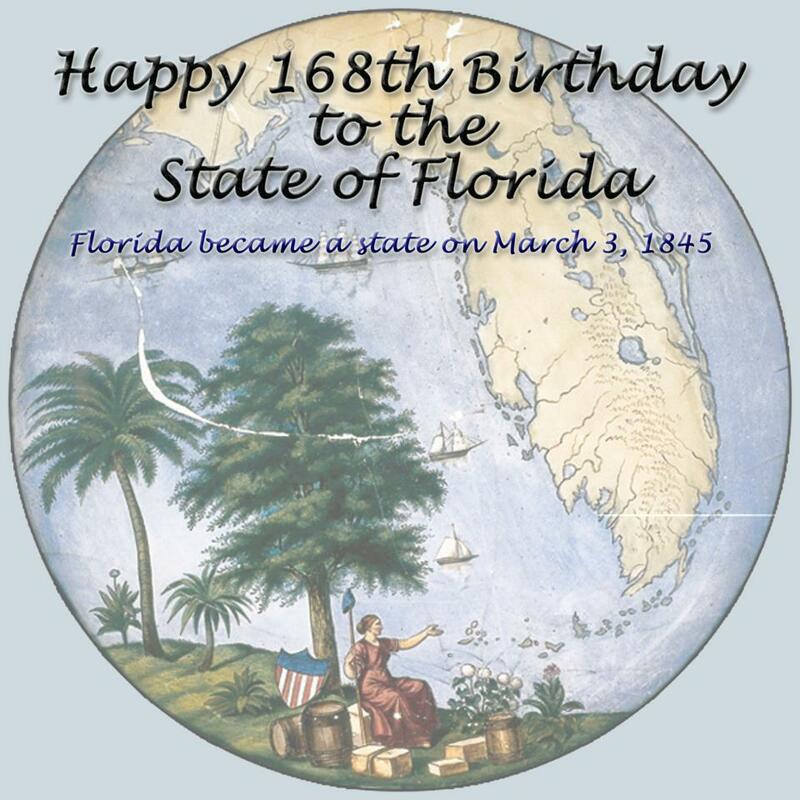 Florida became the 27th state on March 3, 1845. This is the first seal of the State of Florida. This glass version used to hang in the House of Representatives in Washington, D.C. and is now in the Museum of Florida History. Next Next post: Next Meeting Wednesday, March 06, 2013, at 4 p.m.